In the absence of any written accounts from Pashtun side, all we have is an exaggerated and one-sided British account. Sardarjis have added their own masala to the story produced by their former masters, making it more incredible. We are told that 21 Sikh soldiers , who were fighting for the glory of British raj, faced around 10,000 Afghans (some articles also give numbers of 14,000 and 20,000) and were able to kill more than 600 of them before succumbing to 'martyrdom' (for the noble cause of British colonialism), thus achieving greater feat than 300 Spartans of the Hollywood movie. Astonishingly 10,000 to 14,000 Afridis and Orakzais were available from sparsely populated Khyber and Orakzai agencies just for siege of picquet of Saraghari in an uprising of such great scale. The question arises how reliable and trustworthy were the British assessment of numbers of their foes ?. For example in one report they assessed the fighting strength of the Afridis to be 227,000 while the total population of Khyber agency after a century was 284,256 in 1981 census. So claim of Afridis and Orakzais being numerous as ants and locusts for siege of Saragarhi post, should be taken with a pinch of salt. Unlike British, Afridis and Orakzais did not keep written records of their exploits and they did not have any Newspapers. Sikh-Indian articles are saying that more 600 dead bodies of Pashtuns were found on the scene. 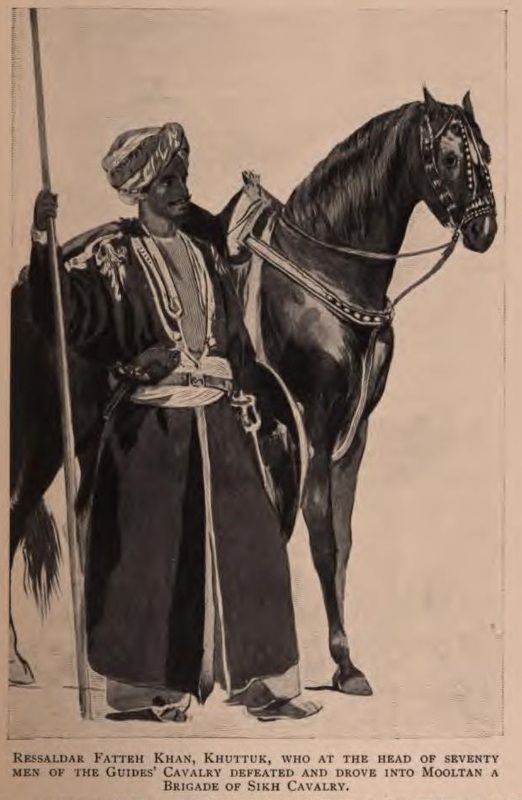 But a British report in "Navy and Army Illustrated" magazine of 1902 says, "The Afridi dead been, as usual, carried away by their comrades. There was no one left to harass them in doing so" . So no dead bodies of Pashtun tribesmen were found on the scene as their comrades had carried it along with them, and casualties numbers were unknown . Another British source  says that "From friendly Rabia Khels, they afterwards learnt that the losses of the enemy, all told during these several operations, were over 400, including some 180 killed in the taking of Saragarhi". Wikipedia says that military historians have declared it to be history's greatest last stand but interestingly every site which is making such statement about Battle of Saragarhi, is Indian. I am interested to know the names of those military historians and their credentials. I have also come across the claim that "the Battle at Saragarhi is one of eight stories of collective bravery published by UNESCO". I did not find any such statement on any website or book of UNESCO. The only sites and books which are reporting it are Sikh-Indian like "Sikh Studies", "The Sikh Review" etc. If any one has proper reference from UNESCO then share it in comments section. The other battle that Sikhs-Indians are including in the "Eight stories of collective bravery" is Battle of Thermopylae (the battle which is shown in the 300 Spartans movie of Hollywood). Despite of my exhaustive search, i could not find the names of other six battles included in the said list by UNESCO. Sikhs themselves are puzzled and are asking the names of other six battles in the list. It seems like made-up information. Sikhs also claim that the marvelous story of battle of Saragarhi is taught to school children in France. Only Sikh-Indian sites are reporting it, again seems to be made-up information. Its rather very strange that Sikhs celebrate 12 September as Saragarhi day and are very overwhelmed and emotional about their "achievement". They get offended if you are not impressed by it. They should know that Sikhs were described as underwhelming by the same British when they were enemies during Anglo-Sikh wars, and the British hyped those Pashtuns who were fighting for British against Sikhs in that war. For example British tell us that Risaldar Fateh Khan Khattak and his 70 men (serving British) defeated entire brigade of Sikh cavalry (approximately 1500 to 4000 soldiers, comprise a brigade) in open field  . Thats more incredible story than battle of Saragarhi. You seems like in a denial. You, with purpose failed to mention that all 21 soldiers were awarded highest bravery awards. Is that not a historical truth for you. You are just taking solace by discussing the number of tribesmen. As far as the fact that 21 were fighting for British, I as a student of history feel that that was a better choice instead of taking sides with people who were desperate to re-establish Mughal rule in India in 1857. It is a western habit of adding two zeros to their figures to inflate and this can be seen from their Bible as well. Historians criticize its claim that 600,000 Roman soldiers suddenly came forth. There are many such cases to understand this mentality of theirs and so based on that, we can say that Pashtuns would be likely somewhere between 100 to 160. Fabricated by the British to garner the support of Sikhs. Suppose, it's true then where did the valour of the Sikhs go when Ahmed Shah Abdali attacked Punjab? They still mourn the day as Sikh Haulocaust. Not the day when they were being massacred in 1984 by Hindus. The war had happened and the Sikhs fought to the last man and were all killed. These 21 Sikhs had no other option than to die fighting, because as Winston Churchill had given the account of Sikhs cutting innocent Pashtun farmers whenever they got a chance to grab one, it was sure that 1000 Pashtuns (not 12, 13, or 20 thousand) standing outside the Fort were going to kill all of them as Badal(their Tribal Code). I know hundreds of Pashtuns who were alone and died fighting thousands of Hindus and Sikhs. By the way, the funny part is that story as narrated as though these 21 Sikhs conquered Afghanistan. These Sikhs were fighting for the British. They were firing at the Indian Native Pathans who were fighting for their independence from the British Raj. So, you can say these Pashtuns were the Bhagat Singhs, the Patels and the Gandhis. Pashtun’s on an average since they are the only tribe in the world which has resisted every occupying force so ferociously that the occupying force has just not been able to subdue . 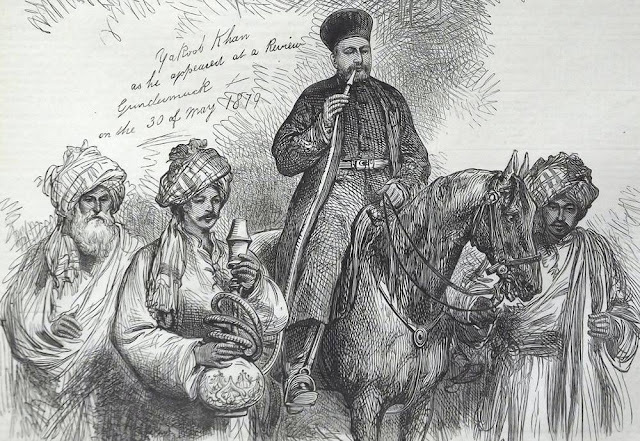 While the Sikhs after a feeble attempt started serving the British content in giving up their lives for British the Pashtuns refused to bow to the British. Regarding the notion that Pashtuns wear shalwar kameez because they were scared of the Sikhs is atrocious because the Sikhs were anyway only able to conquer upto Jamrud . It was in Jamrud were Wazir Akbar Khan killed Hari Singh Nalwa and that was the end of Sikh victory over the Pashtuns so saying Hari Singh ruled Afghanistan is wrong. Also note that sikhs suffered their 2 holocoust at the hands of Ahmed Shah Durrani one in 1762 and another in 1746 so frankly if one talks about who succeeded more in battles, it is Pashtuns. However that is not the reason I say Pashtuns are braver, the test of bravery is when you have to courage to fight for what you think is right, the sikhs fought for the Hindus and they were brave upto Ranjit Singh, after that they meekly supported the British infact fighting against Indian rebels in the sepoy mutiny and fighting against Pashtuns for the english while the Pashtun through out history has only fought for them and their rights and his honour and hence I don’t think there is any comparison in bravery between Sikhs and Pashtuns, Pashtuns are far superior when it comes to bravery. 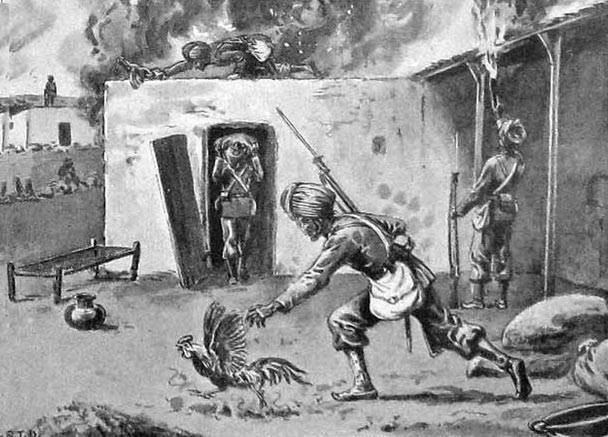 Sikhs prevailed over untrained or innicint Pashtuns during raids of Sarhad with the help of some money hungary Pashtun Ameers (Present day Peshawar and surrounding parts) by armies of Raja Ranjit Singh. Hari Singh Nalwa was killed in such raids. It was this exploit that ensured the division of Afghan people permanently,later sealed by Durand line. But then, it was no interest of the Adhan King to fight for those independent areas. Then they massacred the English who had previously massacred the Sikhs in the Anglo-Sikh wars. Sardars must gk through Malakand Diaries by Winston Churchill who termed Indians as ugly creatures to know for whom their Ancestors were dying for so happily. And also to know how frustrated were the Britishers for failing to rule over these INDIAN Pathans or Pashtun revolutionaries. To be rational. I would like to state that Sikhs were victorious because they were trained rigorously whereas Afghans were loosely trained or untrained. Another famous battle was battle of Saragadhi on Afghan border in 1896, where 21 Sikhs of British Army held the fortress against Afridis, although all 21 soldiers perished, but the casualty of Afghans was estimated to be 600 to 800. Again to be rational.Sikhs prevailed because of the height and strong wall of the fortress as well as better ammunitions. So both are brave , both should forget the past and should become friends. Brave can befriend only braves. British were given a Bloody Nose only by Pashtuns hence they boosted the evo of their Sikh Chowkidaars by exaggerating the victory. The Sikhs also helped British in defeating the Indian Uprising of 1857. Why are they not singing about that victory?